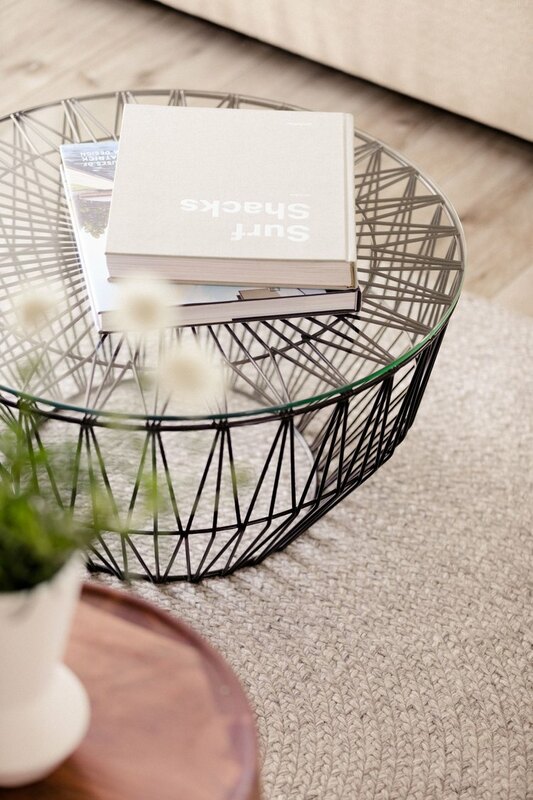 Here at Hunker, we like to say that your space is a reflection of your identity. So it's not surprising that we've spent a little time thinking and talking about what our space would be like. 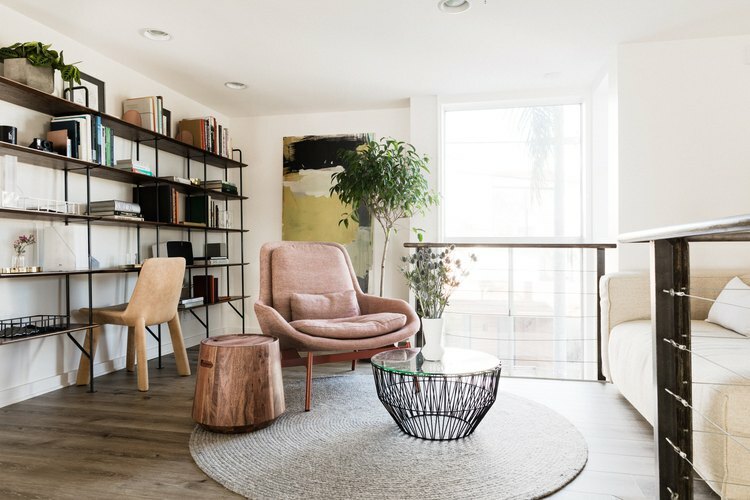 When our team scouted the trilevel loft right off the famous Abbot Kinney Boulevard, we knew the first order of business would be to soften the ultramodern bones to give the space a more home-like, Cali-meets-Scandi vibe. 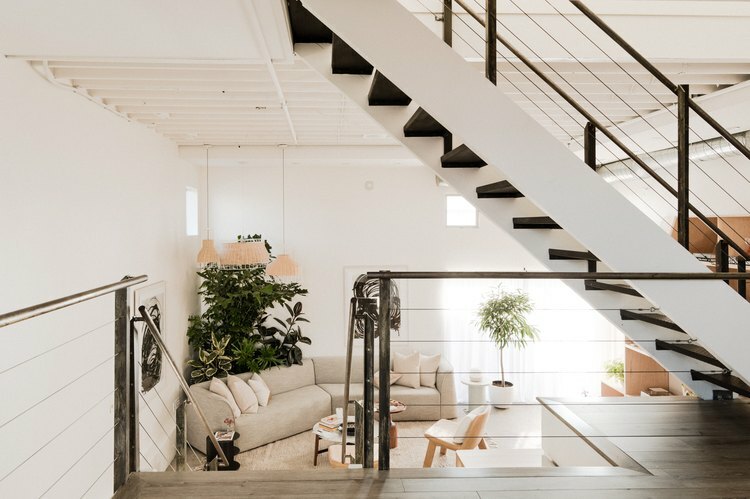 "It was essentially a concrete cube; a very industrial work-live loft," says Paul Anderson, Hunker's creative director, who oversaw the build and design. "In order to completely change the feel of the space, we looked to texture and material, which is where the custom shelf came in — that's the centerpiece of the main room. Bringing in plywood in that type of large-scale installation completely warmed things up." 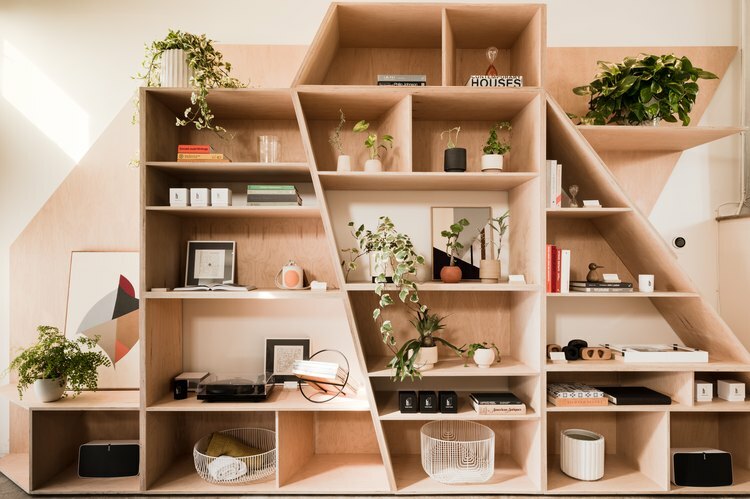 The plywood shelf connects Hunker House to our brand's aesthetics and storytelling: the custom piece is inspired by the building's own lines and angles, and also acts a showcase for highlighting brands and makers close to the Hunker family. "Every item on the shelf is tied back to a piece of content we've run on the site," says Leonora Epstein, senior content director. "We wanted to make sure that we could find lots of opportunities in the house to bring Hunker's online presence into the IRL." 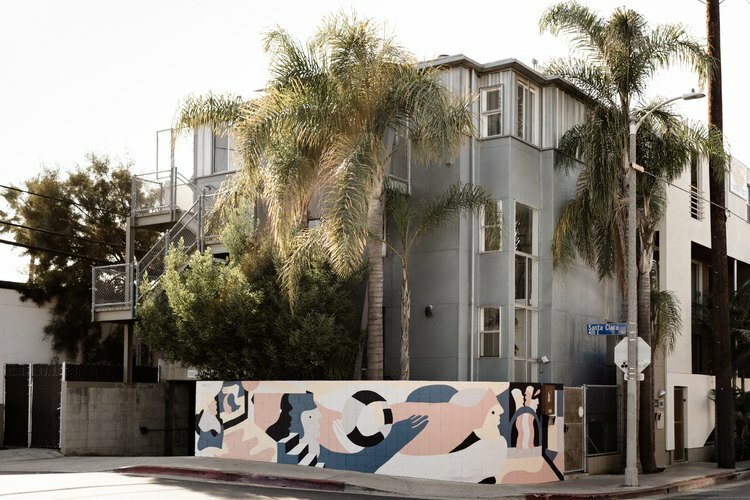 In order to give the exterior some distinction, Anderson commissioned Los Angeles- and Portland-based artist Buckley to create a mural on the street-facing wall. "I thought her organic style would contrast well with the sharp edges of the house's architecture," he explains. 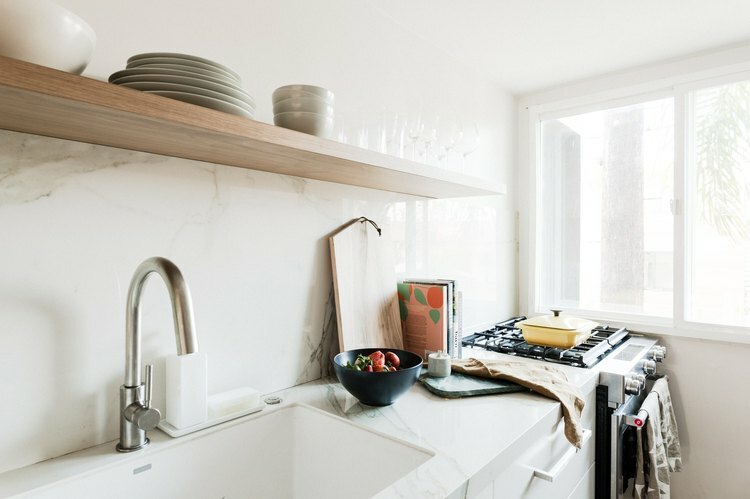 Making the house feel like a truly livable space was a priority: "We created all sorts of little custom touches unique to the space, like candles, tote bags, bath robes," says Anderson. "We want people to feel like they're at home." 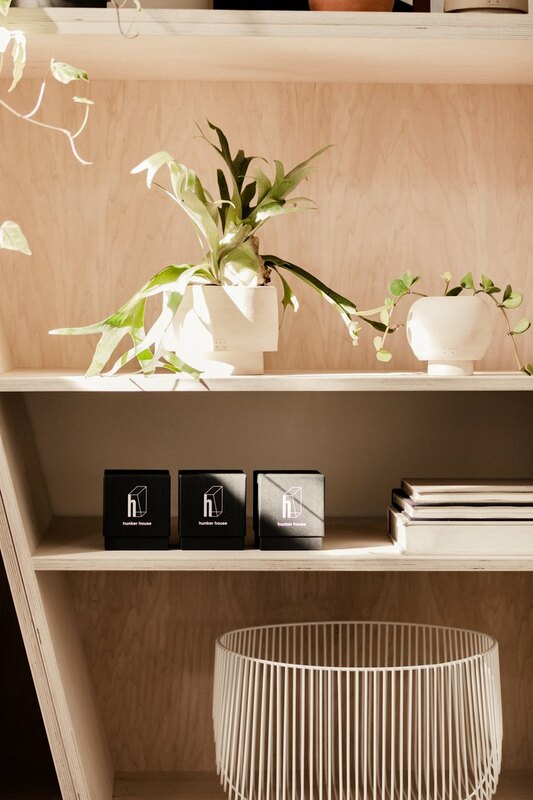 Above, the Hunker candle hangs out with a Bend Goods wire basket and ceramics by Sanso, a Los Angeles-based company featured in Hunker's "Uncover" series. Hunker House's open and airy living room will play host to events like brand launches, design panels, and workshops. Blu Dot's Thataway sofa provides a comfy spot for discussions or hangouts. The Neat leather lounge chair, also by Blu Dot, offers another layer of texture. 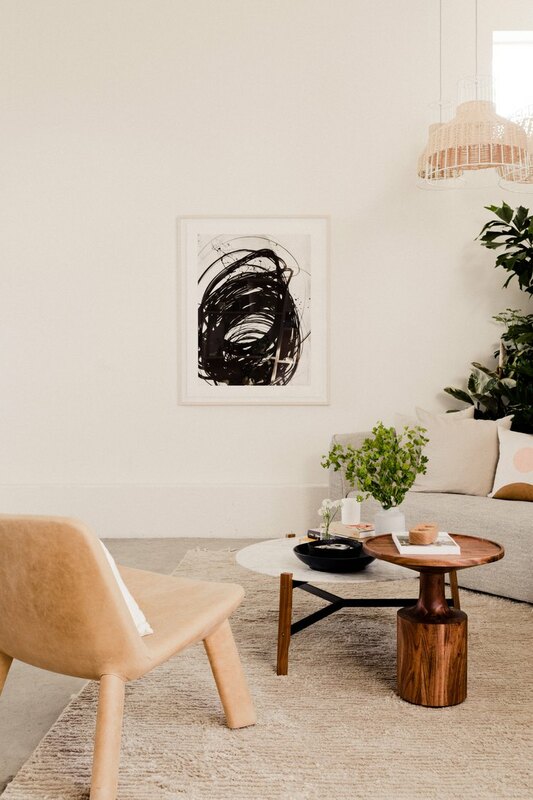 All of the art in the house comes courtesy of Saatchi Art. Rolling Greens crafted the installation of greenery. Other Blu Dot pieces round out the living room's look: a trio of Blu Dot Laika pendants, the marble-topped Free Range coffee table, and the wood Turn side table. 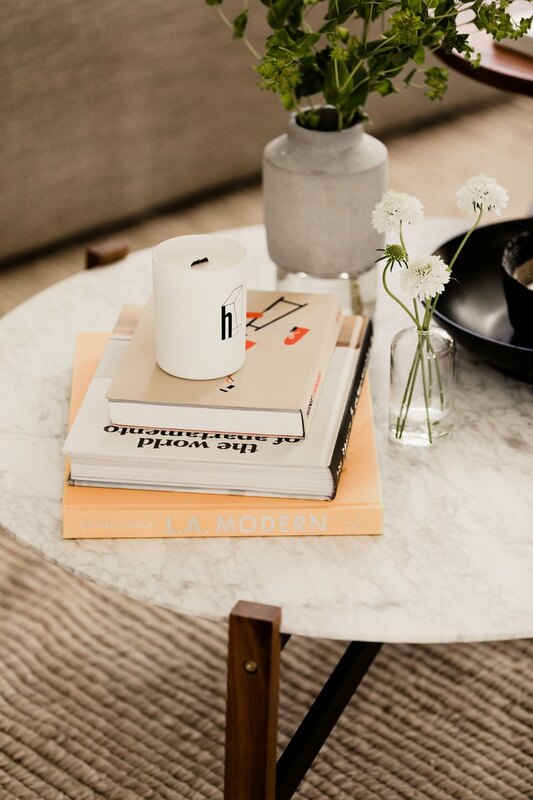 The concrete-and-glass vase by Scandinavian design company Menu was featured in Hunker's holiday gift guide. 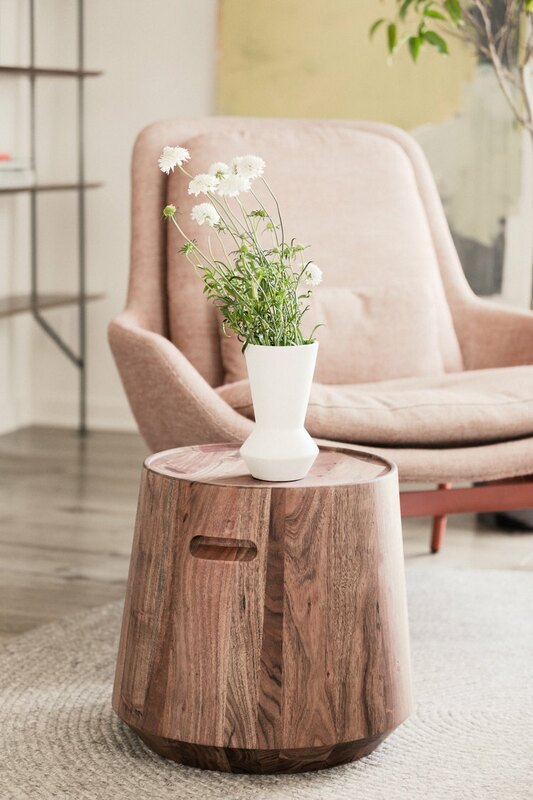 In the main space, Hem's Log table, surrounded by Pal stools, can become a workspace for events or a gathering place for an intimate dinner. "So far, we have some type of relationship with all of the brands featured in the house, and that's intentional," says Epstein. "We want the space to feel like it's retelling some of Hunker's stories. With Hem, for example, we did a piece where we sat down with the brand's head of design. With Blu Dot, we went inside their office and workshop to see how their pieces are crafted. You'll find Sonos products throughout the house — we reference them frequently on the site." A staircase leads to an open second floor completed with a small library and galley kitchen. The dishes in the kitchen are all Year & Day, a San Francisco-based ceramics company that manufactures in Europe. We've talked about how much we love their unique system of packaging sets, elevating everyday dishware at affordable price points. The library is filled with books on design, as well as Hunker's quarterly print publication. At the center of the library is Bend Goods' Drum table. There are several other Bend pieces throughout the house, a subtle nod to the content we've produced focusing on the brand. Blu Dot's Field lounge chair offers a pop of color, while their Turn stool continues the theme of playing with texture. 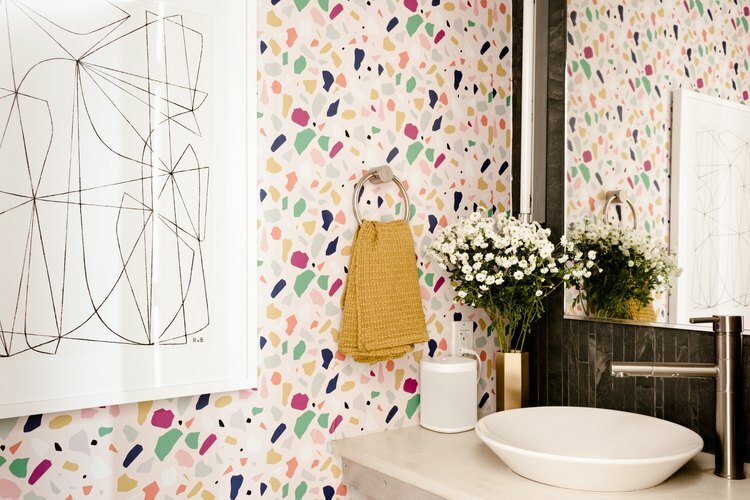 In the downstairs half-bath, Society6's removable terrazzo wallpaper mirrors our recent obsession with the trend. The third level is more private — basically a bedroom area where influencers and makers will be invited to stay. 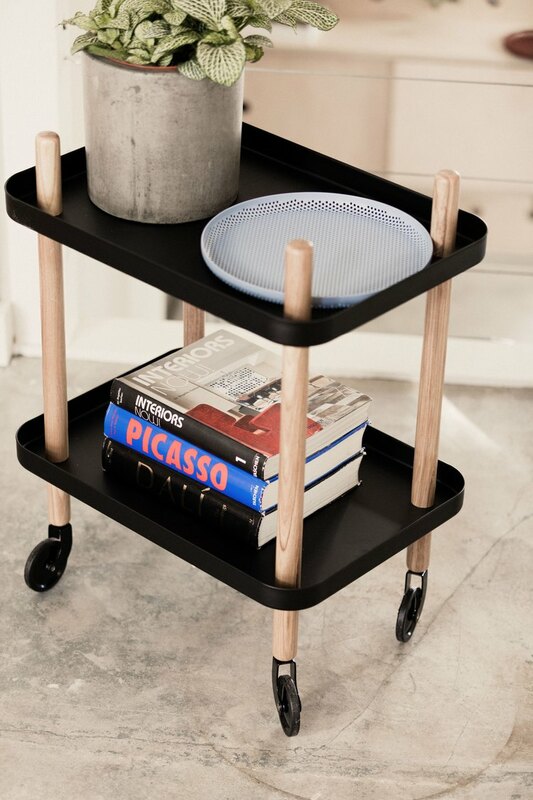 The bed and side tables are by Floyd, a company we've followed with interest. 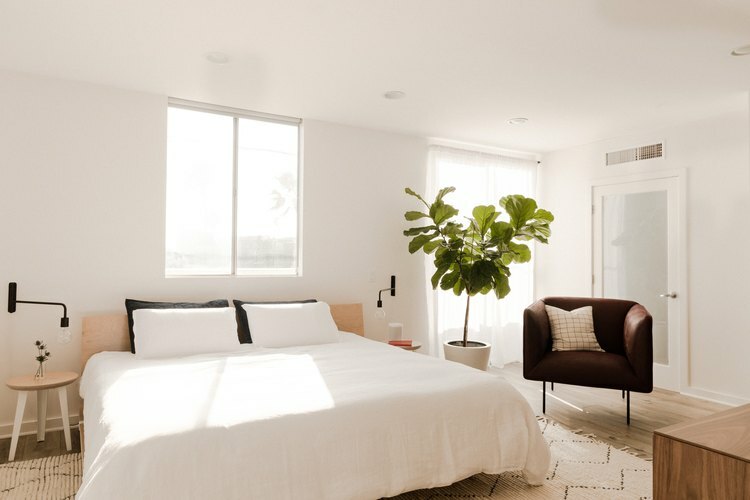 White sheets by Ettitude and a soft cream rug from Armadillo & Co contribute to a serene California-cool vibe. 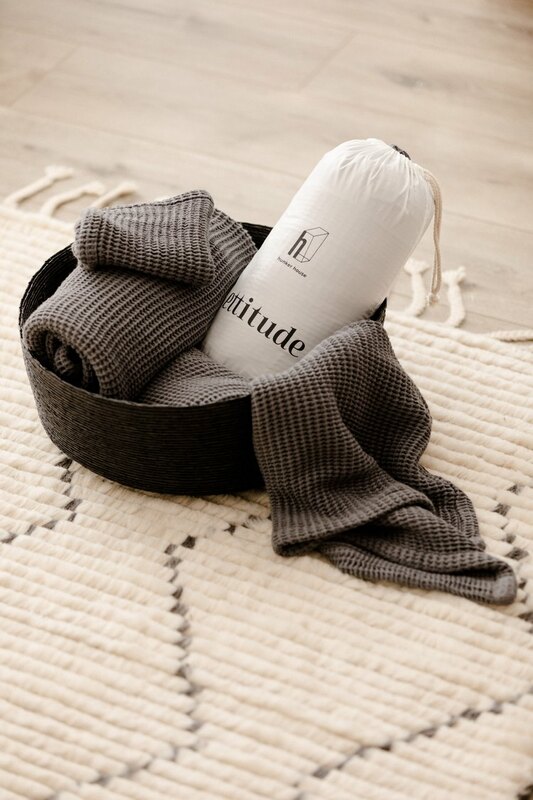 Ettitude crafted custom robes and towels for our guests — all made of 100 percent lyocell (made with organic bamboo). 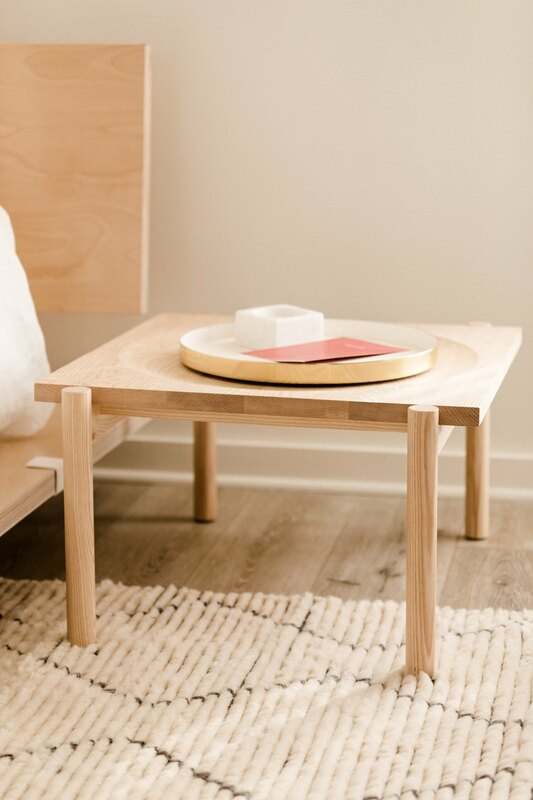 Dims, an independent company making "new century modern" furniture, provided their Caldera coffee table — but we thought it worked just as nicely as a nightstand. And finally, we opted for Luma Sleep's Hybrid Slumber System mattress — which we can tell you is just the right amount of firm.